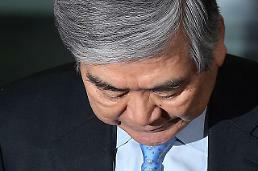 SEOUL -- Hanjin Group Chairman Cho Yang-ho, who controls Korean Air, made a cursory apology Thursday as he turned up for an interrogation by state prosecutors over alleged tax evasion and embezzlement. The interrogation followed multiple investigations by law enforcement authorities into various illegal activities by his wife and two daughters. Cho, 69, is suspected of embezzling company money and awarding improper contracts to companies controlled by his family members. 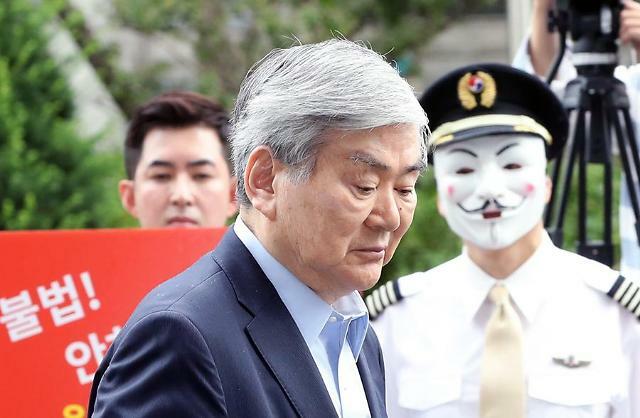 "I am sorry," Cho said, shrugging off a barrage of questions hurled by reporters at the entrance of a building for prosecutors in southern Seoul. A group of protesters held up placards calling for punishment of the Cho family. A man clad in a Korean Air pilot uniform -- black hat, white shirt, pink tie and black pants -- wore a Guy Fawkes mask with his hands crossed on his back. Korean Air pilots wearing Guy Fawkes masks to conceal identities have held street rallies demanding Cho's resignation. Stylized versions of Guy Fawkes masks are often used abroad in protest against influential politicians and organizations. Thursday's protest was led by Park Chang-jin, the former chief steward who was forced to kneel before Cho Hyun-ah, the chairman's eldest daughter, for failing to serve her nuts properly. "Illegal and audacious! 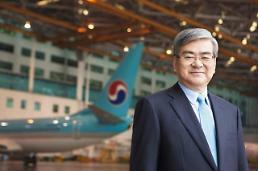 Cho Yang-ho, the originator of Gapjil," read a placard held up by Park, who has launched a legal battle to seek compensation since he left Korean Air. Gapjil means an abuse of power such as mistreatment, arrogant behavior, crude talk, character assassination, and insults. 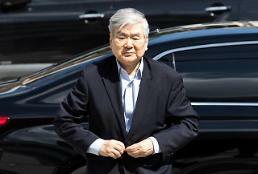 Lee Myung-hee, the chairman's wife, was questioned on charges of illegally hiring Filipino housekeepers without proper visas. She also faces charges of verbally and physically assaulting company housekeepers and others. Earlier, police accused Lee of hurling a pair of pruning shears at a security guard in his house for failing to take care of the house door properly, kicking a chauffeur for a mistake in the street, beating a gardener and slapping a construction worker. Cho Hyun-ah was questioned by customs officials for bringing in personal goods purchased overseas without paying taxes. She was once arrested in 2014 for an onboard tantrum when served macadamia nuts in a bag rather than a bowl. She was imprisoned for a year for violating aviation law but she was released in May 2015 after an appeals court suspended her sentence.